Preliminary registration numbers from Wisconsin's nine-day gun deer season show an increase in statewide harvest. Overall, preliminary figures show that 211,430 deer were registered during the nine-day gun deer hunt, compared to 197,733 in 2017. The nine-day gun deer season continues to show hunting as a safe recreational activity, as the season ended with three hunting incidents and no hunting-related fatalities, which DNR law enforcement staff say is the safest season on record. There is now a statewide muzzleloader deer hunt going on through Dec. 5 and there is a statewide antlerless only hunt that runs from Dec. 6 to 9. Ice is forming on lakes across the state but state recreational safety wardens are reminding people that no ice is safe and that early season ice conditions vary greatly from waterbody to waterbody. Ice levels in the far north have reached 3 to 4 inches and ice anglers have begun to venture out. Trout Lake in Vilas County froze over this week but not with thick enough ice to support anglers yet. Search the DNR website for "ice safety" for tips on staying safe on the ice. There seems to be a good strong population of bobcat this year in the Flambeau River State Forest. Their prey: snowshoe hares, cottontail rabbits and rodents are also well populated. Most puddle ducks are long gone, but some open water areas still have diving ducks using them. Lots of geese around yet through southern and central Wisconsin - it takes not only cold, but snow to cover up their food sources before they leave. Rough-legged hawks are now more frequently seen hunting Horicon Marsh. Thousands of sandhill cranes are still being seen in a single farm field around the marsh. The lack of snow and late harvest has provided an ample food supply for them late in the season. 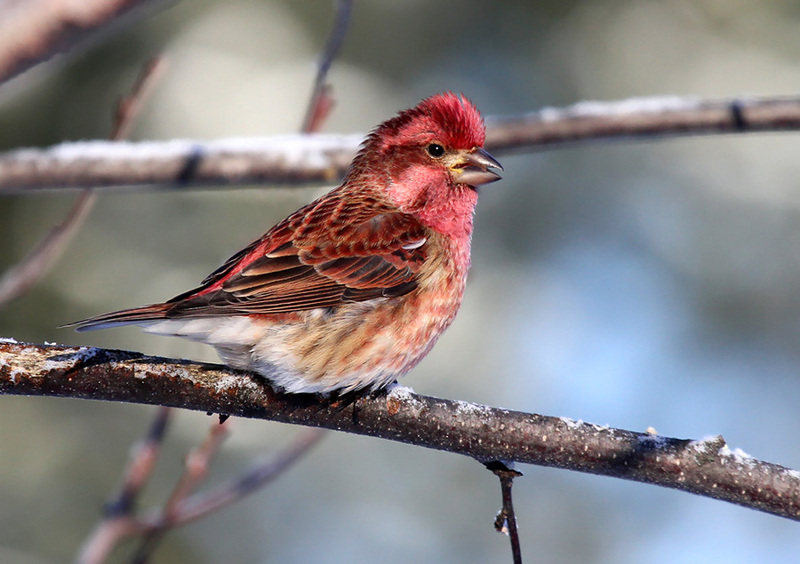 Bird feeder watchers are reporting many of the standard species now, like woodpeckers, nuthatches, chickadees, and goldfinches, in addition to a few specialties such as pine siskins statewide, evening grosbeaks up north, and the occasional common redpoll. See a conservation biologist's Top Ten tips for winter bird feeding to discover some secrets to success this winter on the DNR website. Spring is a long way off, but don't forget the spring turkey and 2019 bear application is due by December 10. Green Bay rea residents can join Wisconsin State Parks for an evening of outdoor fun at "Meet the Rangers." Get the inside scoop on Wisconsin's outdoor recreation opportunities from the folks who make it happen. The fun runs from 5 to 8 p.m. on Tuesday, December 4 at Titletown Park in Green Bay. 2019 State Parks & Forests Vehicle Admission Stickers and Trail Passes go on sale December 1 at park and forest offices and DNR service centers. They can also be purchased over the phone by calling the DNR customer service line at 888-936-7463 between 7 a.m. and 10 p.m. They make great holiday gifts! Wisconsin again is welcoming early winter conditions as December prepares to arrive, dropping temperatures to form early-season ice on ponds, lakes and rivers prompting the Department of Natural Resources to remind anglers, hunters and outdoor activity fans that no ice is safe. Early season ice conditions vary greatly from waterbody to waterbody, according to Capt. April Dombrowski of the DNR Bureau of Law Enforcement Recreation Safety and Outdoor Skills Section. 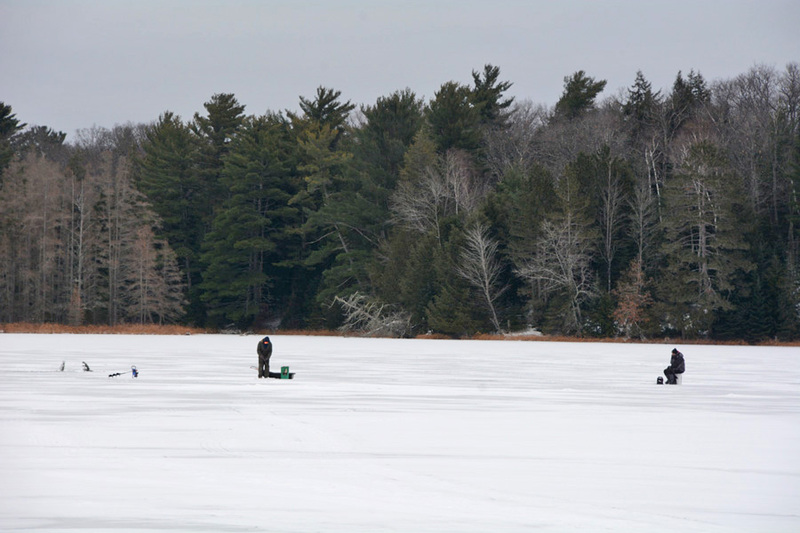 "Good sources of local ice conditions include bait store operators, fishing clubs around lakes, ice fishers and snowmobile clubs," Dombrowski said. "These are the places locally most likely to have the most current information about the lakes and areas." "Your best option for the most reliable ice conditions is to ask local businesses and sporting organizations about the area's conditions before you go on the ice," Dombrowski said. Winter-like conditions prevail in most areas now, making it a great time to put effort into backyard bird feeding activities. See our Top Ten tips for winter bird feeding to discover some secrets to success this winter. Feeder watchers are reporting many of the standard species now, like woodpeckers, nuthatches, chickadees, and goldfinches, in addition to a few specialties such as pine siskins statewide, evening grosbeaks up north, and the occasional common redpoll. For the most part, however, winter finch numbers are low yet even away from feeders. Exceptions include a few flocks of bohemian waxwings and pine grosbeaks across the far north. Snowy owls have made their way back into the state. Numbers so far are lower than this time last year but still better than average. Read the latest update on our snowy owl website. Waterfowl numbers have declined as ice continues to overtake Wisconsin water bodies. Large numbers of common mergansers were reported on Lake Michigan, a sure sign that the migration season is waning. Likewise, tundra swan migration is now past peak, and the same can be said for sandhill cranes, although good numbers remain in some southern areas. As ice builds, expect bald eagle numbers to increase at remaining areas of open water. People can put some fragrance in their holidays by creating beautiful evergreen wreathes, sprays or swags using all natural materials at either the Kettle Moraine south or Richard Bong (two sessions) this Saturday. There are fees to cover the materials provided at these events. Or visit Havenwoods or Willow River for some OutWiGo exercise with family hikes and activities also on Saturday. Willow River State Park - Reusable Reads and Signs of Winter Hike! Join Wisconsin State Parks for an evening of outdoor fun at "Meet the Rangers." Get the inside scoop on Wisconsin's outdoor recreation opportunities from the folks who make it happen. The fun runs from 5 to 8 p.m. on Tuesday, December 4 at Titletown Park in Green Bay. More event info is available, on the DNR Facebook events page. Dec 1, 9 a.m.-noon - Sugar River Wetlands workday: Seeding and brush Help expand the wet prairie at Sugar River Wetlands State Natural Area! Scatter the seeds that were collected earlier this year to restore areas where invasive brush was cleared. We'll also identify other tasks like controlling invasive brush. This work will expand the quality wetland areas and continue the efforts started by the Upper Sugar River Watershed Association and Wisconsin DNR. Northern Highland-American Legion State Forest - A warmup after the Thanksgiving holiday melted some of the snow and rain followed to form a crust on remaining snow. New lake effect snow was falling this week. There is not yet enough snow to groom ski trails. Temperatures have remained cold and ice has formed on many area lakes. Some lakes in the northern part of the forest now have 3-4 inches of ice along the shoreline Trout Lake froze over Wednesday but is not thick enough to support anglers. The first ice anglers have been venturing out. Good air quality for Wisconsin on Monday, April 22, 2019 at 8:57 am CT.